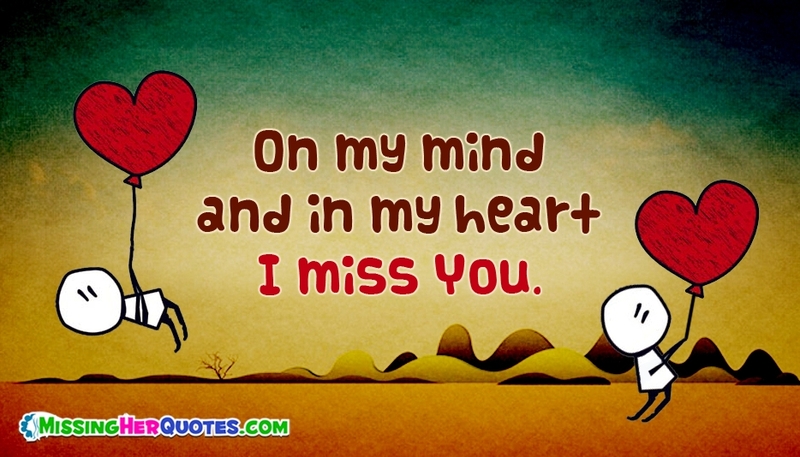 A sweet and cute love image with the text "On My Mind and in My Heart I Miss You" for free download. Even if you can't be with your lady love right now, make her understand how far you miss her. Bring the spark in your relationship even in distance by sharing this image with your sweet girl through whatsapp chats and FB pages.